Any and all adults and older teens who desire to use their God-given gift to sing music that touches and inspires the hearts and souls of those who gather for worship are invited to be a part of our Adult Choir music ministry. Choir members enjoy a special fellowship as they prepare for and serve in worship on Sunday mornings and other special occasions. 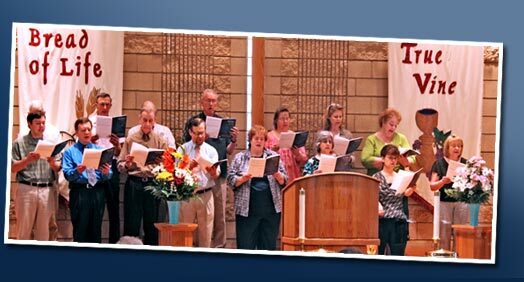 Choir practice for our 10 a.m. worship service is each Wednesday at 7:30 p.m. except during summer months.